Process Sales Orders with a deposit in POS. Click and Collect. – Serialised Items and Units of measure functionality. You can find Customers by name, phone, ID, email address or any field you wish to define. You can find Items by typing its name, barcode, code, price or any field you wish to define. works realtime with NetSuite and does not require any NetSuite user licences. The Point of Sale speed of processing is fast and the user interface calls data directly from NetSuite, so there is no syncing of data. The interface can be configured to your requirements. It works off the NetSuite platform, so you get guaranteed uptime of 99.5%. http://www.netsuite.com.au/portal/au/platform.shtml Choosing the best Point of Sale software can be a challenge in a crowded retail sector dramatically impacted by changing consumer spending patterns and growing online competition. 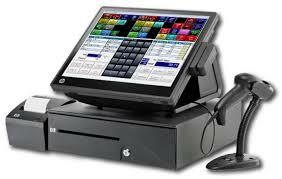 For small to medium size businesses TCS POS for NetSuite offers a significant advantage over other POS systems. TCS POS for NetSuite is cloud-based retail point of sale solution available in most countries, delivering real-time updates to all operational and financial data right across the business — driving productivity, efficiency, enhancing customer service and informing better decision making. Optimised for Chrome, Safari and Fire Fox internet browsers. Laptop, PC, Mac, iPad and Tablets. Accessible anywhere, anytime via the cloud, TCS POS for NetSuite enables retailers to control every aspect of the business. Our comprehensive POS solution encompasses the full spectrum of functionality including point of sale and linking real-time to NetSuite ERP with inventory management, financials, payroll, CRM and eCommerce to provide your customers with the complete Omnichannel experience. Tight integration between all modules allows management to monitor and respond to changes in every aspect of the business in real-time — via on-demand access to real-time information, including sales figures, costs, margins, gross profits, inventory control and valuations, forecast projections, reviews and more. TCS POS for NetSuite software provides improved visibility into the business, enabling retailers to make better-informed decisions daily. It allows your organisation to respond faster to changing market conditions and competitive threats. Being a True Cloud based point-of-sale solution it reduces the work associated with opening up new stores and makes mobile point of sale, pop-up shops and kiosks easier and more cost-effective to manage. For further information go to http://truecloudsolutions.com.au/ *TCS POS for NetSuite is a True Cloud Solutions product sold and implemented by BM Online. Licencing is available in most countries. Also works with JCurve ERP. Retailers learn how to deliver exceptional customer experiences every time!